A How to Play PUBG guide for the absolute noob. 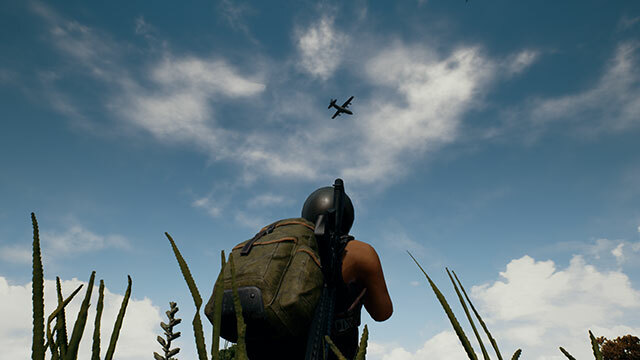 Winning in PUBG is simple: be the last player (or team) standing. 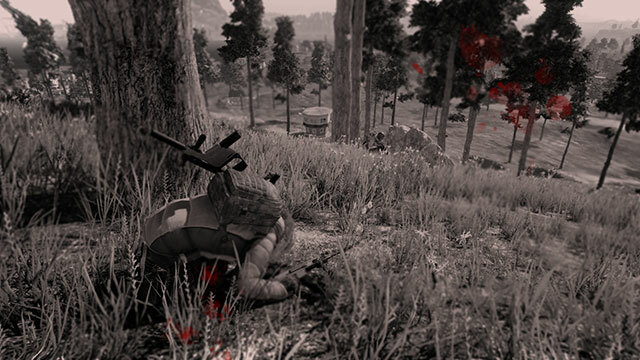 The game is a battle-royale survival game that pits 100 individual players against each other in a fight to the death. 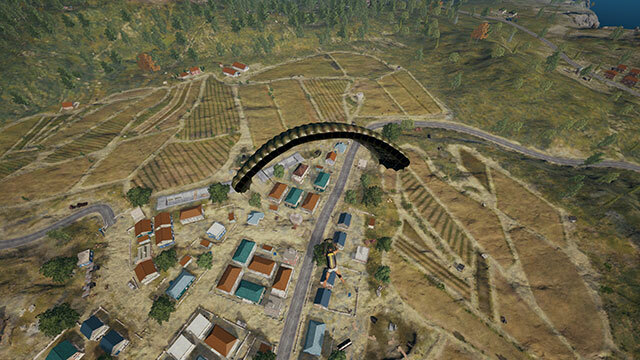 Players start each game by parachuting down to an island and looting buildings in search for the most powerful weapons - all while fighting off enemy players and avoiding the various hazards of the map. 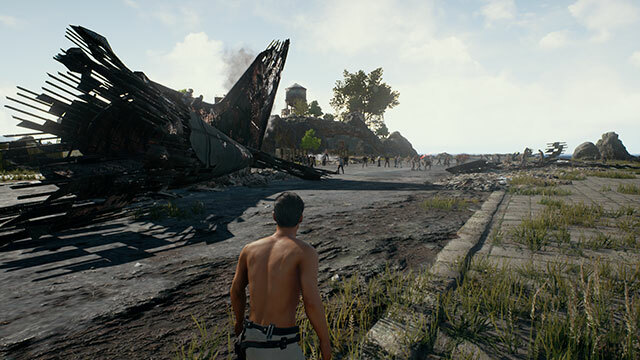 Players wait on Spawn Island for 100 players to enter the game before it begins. Once players are connected, the game starts off with everyone in the plane. The plane flies a random straight-line route across the map. Mark your desired landing zone before jumping to help you navigate! Once out of the plane, freefall towards your destination before deploying your parachute. Some choose to play the game more safely, electing to camp out in buildings and only taking fights when absolutely necessary. Others love to play aggressively, going for the most kills. There is no "right" way to play PUBG. Each game is a completely different experience that offers its own unique set of challenges. Experiment to see what strategies work best for you and your squad mates as you look to cook up some chicken dinners! Because the island is so large, the game forces players into certain areas in order to encourage fighting. It takes about 3 minutes to run across a yellow grid square. The blue bar represents where you are in relation to the edge of the Blue Circle. 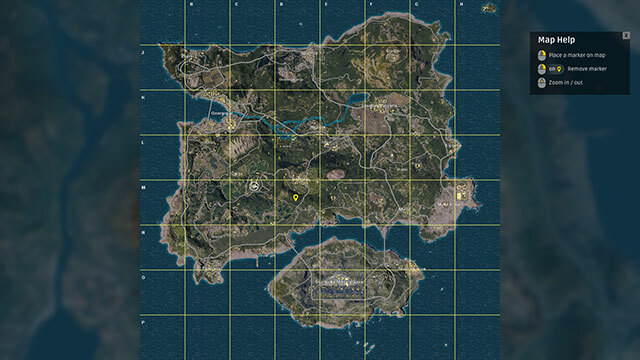 Shortly after the plane finishes dropping all the players, you will see a white circle appear on your map along with a timer. Once this timer hits zero, a larger blue circle will slowly start closing in on the white one. 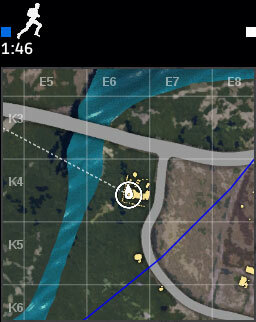 This blue circle represents a dangerous field that will slowly damage you over time, so make sure you’re not caught outside of it! Follow the dotted line on your map for the most direct route to the safe zone! You run faster without a gun equipped! Need to get away quick? Get in a vehicle. 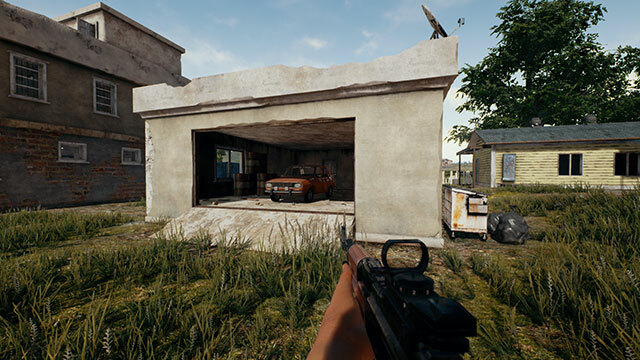 Vehicles randomly spawn near roads and in fixed garage locations. 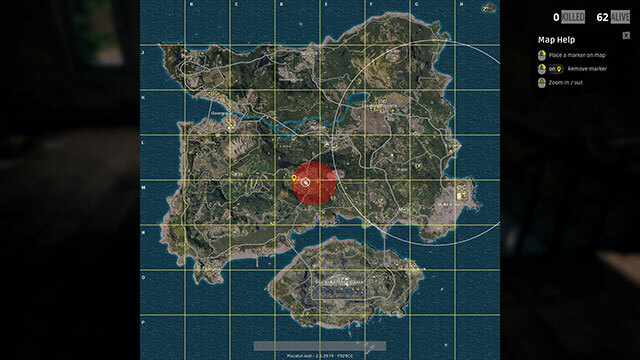 Red Zones are temporary hazard zones that appear randomly across the map. 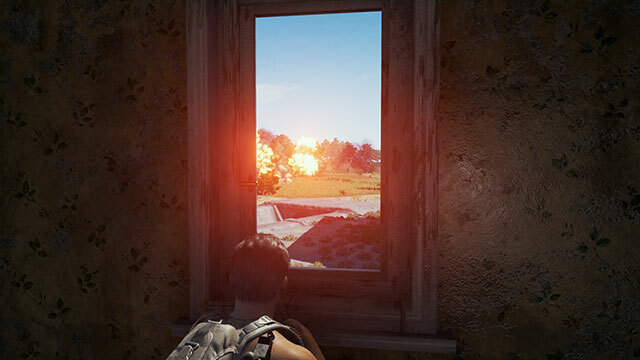 Following a short delay, the red zone is bombarded with large bombs that will kill anyone in a single hit. 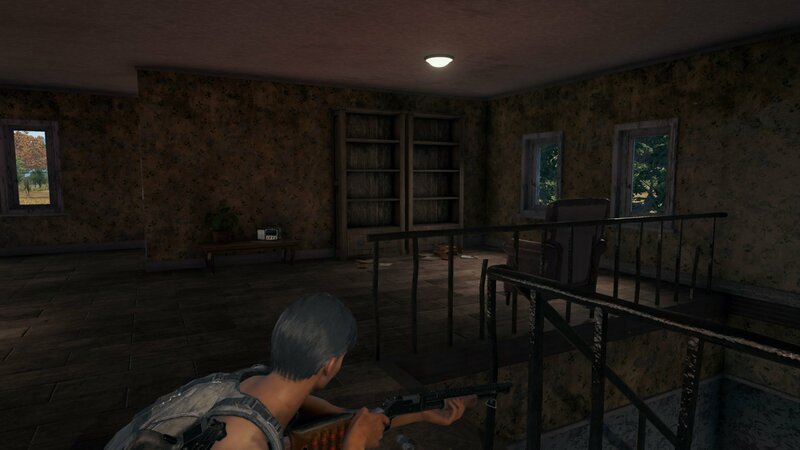 Bombs don't affect buildings, so it’s best to hide out indoors should you find yourself in a Red Zone. 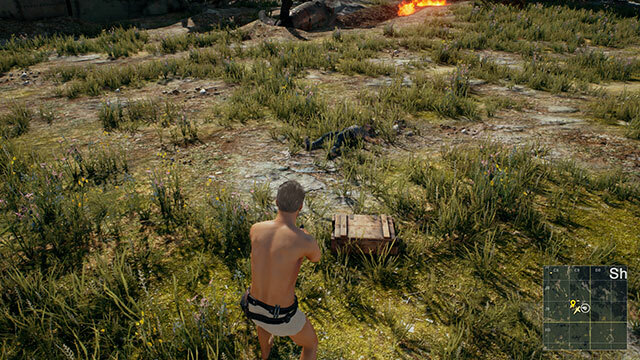 Players are dropped onto the island with no items whatsoever. Weapons, attachments, and healing items must be found by looting buildings and cities. 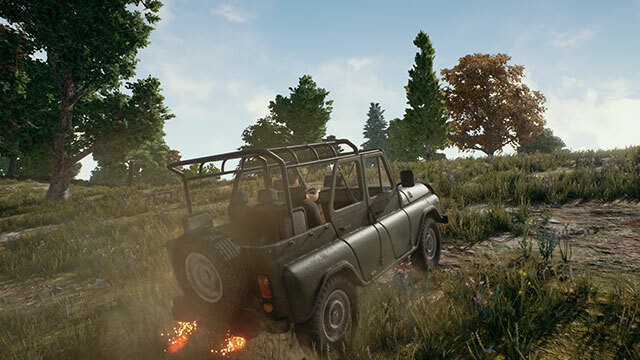 Certain areas of the map offer better chances of finding the best loot, but will often attract the most player traffic. The larger the building, the more loot spawn points it will have. 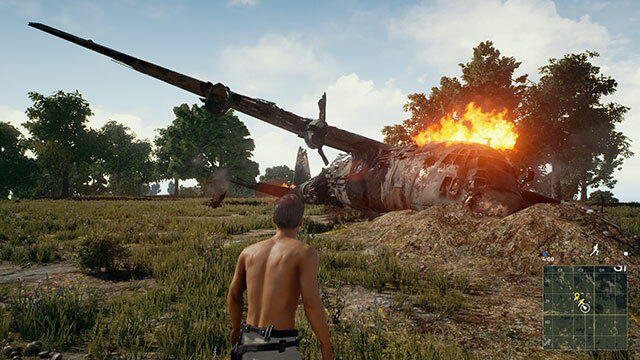 Surprisingly, the plane crash has zero loot spawn locations. 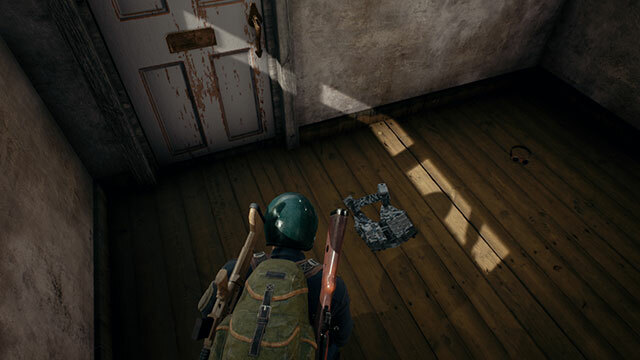 Most of the loot in the game spawns at fixed locations within most buildings and large structures. Large cities have the densest concentration of loot spawn points and will typically attract a large number of players. All unequipped items (including extra ammo) take up inventory space. Each item takes up a different amount of space in your inventory, so be sure to carry only what you need. Backpacks increase your inventory space and are found in three tiers, with the Level 3 Backpack offering the most storage space. Vests grant a small Inventory space increase - enough to hold a few items while you search for a Backpack. Not all items spawn with equal frequency. The better the item is, the harder it is to find. Some items like the P92 Pistol and Bandages, are very commonly found. Others, like Sniper Rifles and Level 3 Helmets, Vests, and Backpacks are far rarer. Occasionally, a supply plane will randomly drop an Airdrop Crate (or two) as it flies across the island. These rare crates slowly descend via parachute and emit bright red smoke upon hitting the ground. 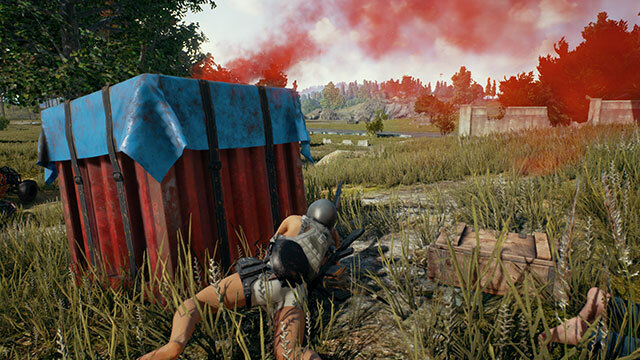 Airdrop Crates contain some of the rarest items in the game like Med Kits and Level 3 Helmets, in addition to exclusive items that are ONLY found in Airdrop Crates. Grab what you can as quickly as you can before the red smoke attracts more attention! Supply planes are very loud and may drop up to two Crates per flight. The M249 LMG can only be looted from Airdrop Crates. Your health bar starts at 100% and any damage you take up to the 75% threshold can be replenished via the use of Healing Items. The final 25% of your health can only be replenished with the use of boosters. Med Kits are the rarest healing item in the game, and will always heal you to 100% of your health. When playing on a team, taking lethal damage puts you in a Knocked Out state. Teammates have a short period of time to revive you before you die. 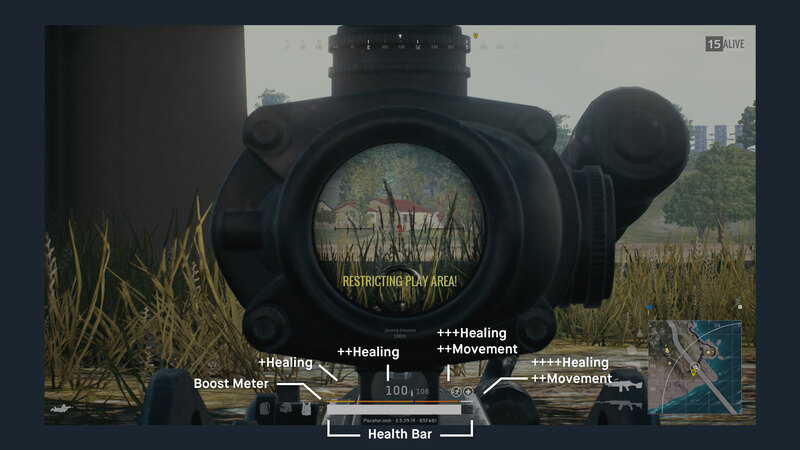 Reaching the fourth section of your boost meter grants you a large healing and movement speed buff. Your boost meter is separated into four separate sections. Filling the first two sections continually heals you over a short period of time with the last two sections also offering a small movement speed increase along with stronger healing. 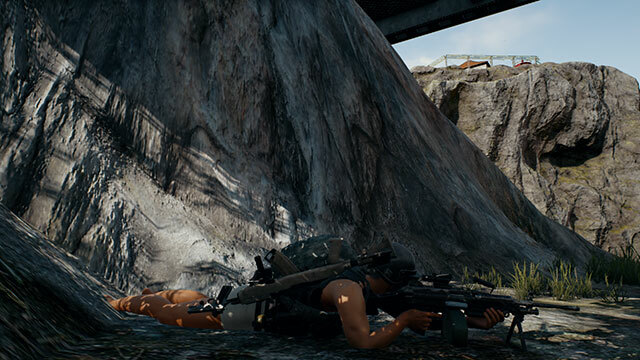 While your Goal is simply to be the last one standing, you’re inevitably going to have to fight people on your way to your chicken dinner. Maybe you get lucky and find a powerful Kar98k right away! 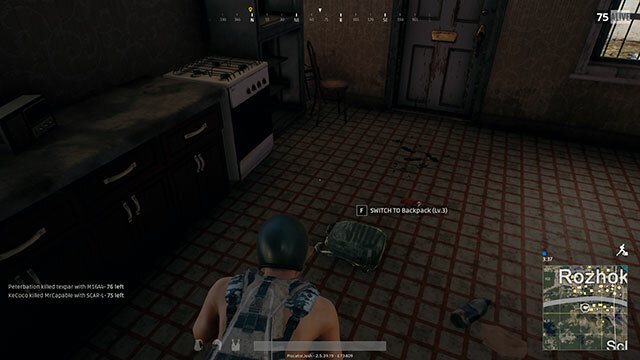 Other times, you may find yourself trying to beat people down with just a Pan. 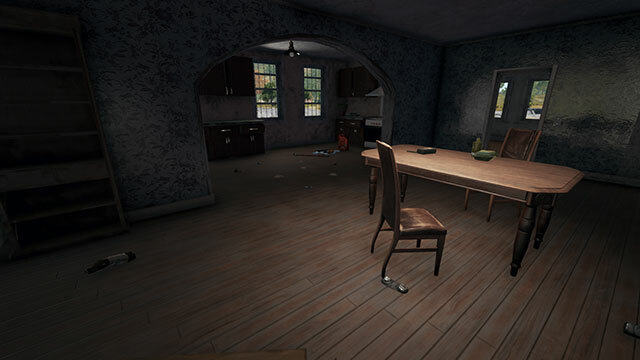 Combat in PUBG involves a wide variety of weapons that spawn in various looting locations across the map. Pistols are easy to find, but suffer from low range and damage stats - making them a last-resort choice for any gunfight. Shotguns are known for their potential to kill in one shot in close quarters, but are almost useless at range. Submachine Guns make up for their low per-shot damage stats with their high rates of fire and speedy handling. Assault Rifles are the bread-and-butter of gunfights in PUBG. These powerful guns dominate mid-range gunfights, offer a variety of attachments, and are good at punching through enemy Armor. Sniper Rifles are the most powerful guns in PUBG, with many of them able to kill someone in a single shot. They’re among the rarest guns in the game, with the rarest ones found only in Airdrop Crates. A variety of Melee weapons exist in the game, but are rarely useful against enemies with guns. Don’t let that discourage you, though. We love seeing highlight clips. You may be tempted to try the Crossbow, but leave it be. It only brings heartbreak. 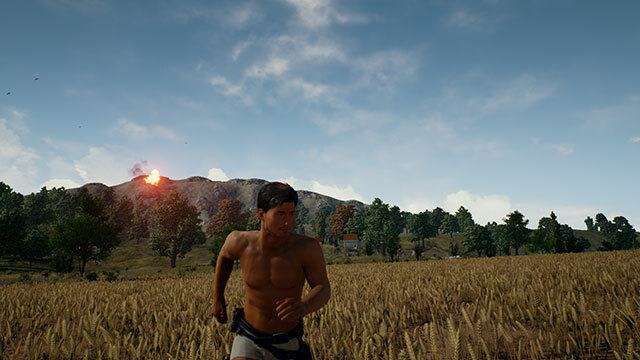 PUBG is a game that rewards patient, tactical gameplay versus unbridled aggression. Keep these few tips in mind when you find yourself in a gunfight. 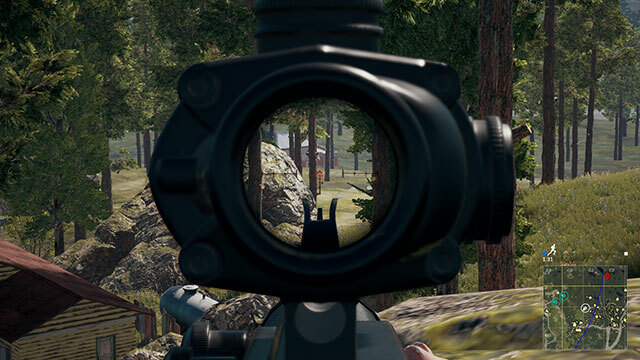 A 4x Scope is great for scouting enemies from far away. If you get shot at, resist the urge to panic and focus on locating and calling out your enemy’s location. Lean around corners (Default Q/E) to expose as little of yourself as possible. Whether it’s a wall, a tree, or even a small rock, get it between you and your enemy ASAP. Bullets can’t penetrate walls, so as long as you’ve got something solid between you and your enemy, you’re OK for now. 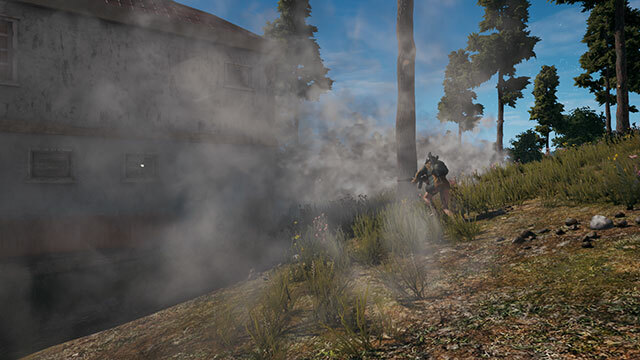 Deploy a few Smoke Grenades for a sneaky escape. 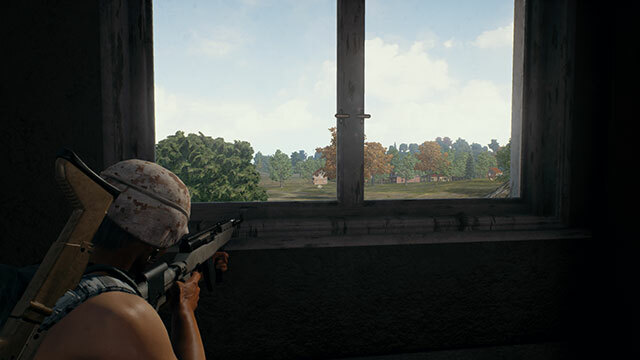 Every gunfight in PUBG is a different scenario and your best plan of action depends on a number of factors. Remember - your only goal in the game is to be the last one alive. If your enemy has a sniper rifle and you only have a shotgun, it’s best to find a way out of the fight. If they’re spraying at you with a pistol and YOU have a sniper, blow their face off. The AKM’s low bullet velocity requires you to lead shots more than an M16A4 or a Kar98k. 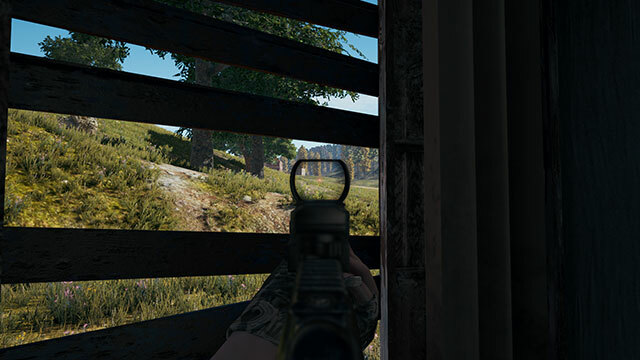 In PUBG, your bullets don’t immediately hit your target as soon as you click. Just as in real life, different guns fire shots at different velocities, making certain guns more effective at range than others. When targeting players who are far away, you will need to aim a bit above the target that you’re aiming to hit (See: Zeroing). In the case of a moving target, you’re going to need to lead your shots a slight distance, depending on your weapon. You can take anything that the player had when they died. 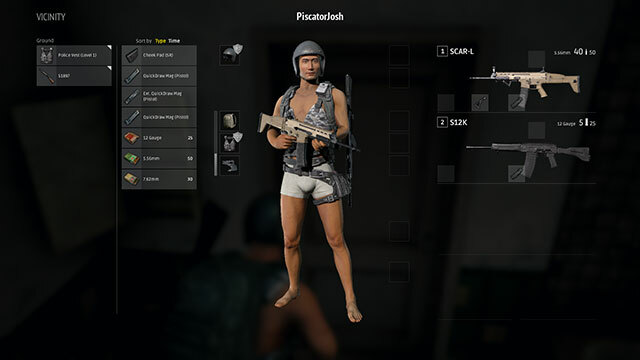 You can even borrow any cool clothes they earned from a reward crate! Killing an enemy gives you the opportunity to run to their body and take anything that they had in their inventory. 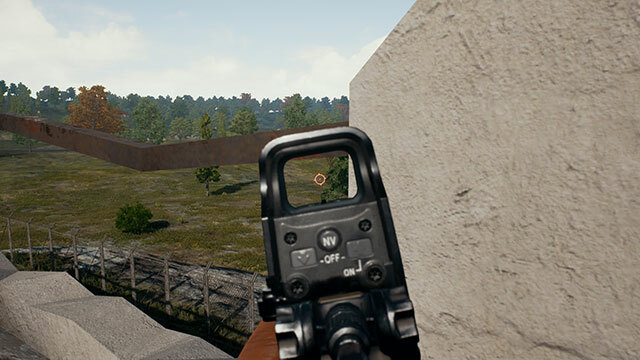 Use caution when looting fallen enemies, as the gunfire from the previous fight could very well have attracted others who may look to use the loot boxes as bait in order to score easy kills on unsuspecting victims. Shooting a player in the head does 2.5x damage, so take your time to line up that headshot! Many guns, like the Kar98k and the SKS, can down an unarmored player with a single headshot!